Ways To Feel More A Part of the Community. With an undergraduate enrollment of over 25,000 spanning across the Boca Raton Campus, FAU can feel huge. The large size of campus means students should find a place where they feel at home. Some students will choose to rush a sorority or fraternity but others will not find Greek life their cup of tea. No worries; there are many other possible ways to get involved on campus. Some of you may believe that your student’s first job is school, and I couldn’t agree more. That said; being involved in some way is rather important too. Firstly, joining a club will help your student build a community. 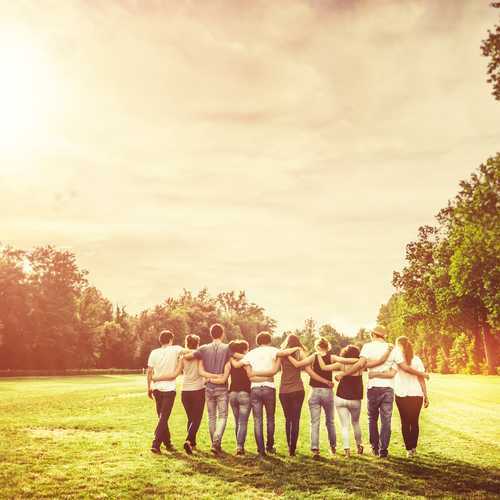 Since they’re leaving their family and sometimes their friends behind, getting involved helps them to discover new friends with similar interests. It only takes a few friends to make a large school feel smaller. Joining clubs or organizations allows students to discover their passions and strengths. It also helps them to discover what they don’t like, which can be just as important. Clubs and student organizations only enhance a student’s time at FAU. Academic and personal growth often occurs in places other than inside the classroom. I would love to give you a list of all the different places your student can get involved, but FAU has a wide variety of recognized student organizations on campus covering almost any interest from dance, religion, politics, recreation, research, culture, music, adventure and more. Below is a list of some popular clubs/organizations. By far one of the most popular Student Organizations on campus is the Resident Student Organization. Students who live in FAU’s dorms run this organization. While they often create initiatives to make dorm living better, they also plan events to make dorm living fun and enjoyable for the students. Student Government– Perhaps a voice in FAU’s student government is of interest to your student. This is a great way to hone those leadership skills. OwlThon, or Dance Marathon as its commonly known, is wildly popular amongst sororities and fraternities, but truly there are many others who love to get involved. It is a yearlong event of planning and fundraising culminating in a dance marathon. When else would you get the chance to dance for 13.1 hours straight while raising money for the Children’s Miracle Network? It’s pretty awesome. Church groups – There are over 15 religious/spiritual organizations on campus. Hillel– Offers holiday and Shabbat dinners and a whole lot more. This is a great alternative since it can be difficult for kids to get home for holidays. Hillel also holds a variety of events throughout the semester for students to get involved in. Intramural Sports– are a great option. It can be fun and it provides exercise and stress relief. The sports choices change each semester. Getting involved will also look good on their resume when they go to apply for internships or a job upon graduating.